At issue is whether Kestrel Aeroworks, a tenant at the former naval air station, should have to pay property taxes. AUGUSTA — The LePage administration appears to have had second thoughts about wading into a tax dispute between the town of Brunswick and the agency that’s redeveloping the former Brunswick Naval Air Station. The legislation was proposed by the administration in December, after a disagreement between the town and the redevelopment agency. At issue is whether Kestrel Aeroworks, a tenant at what’s now called Brunswick Landing, should have to pay property taxes to the town. The town argued that Kestrel’s activities at Brunswick Landing do not qualify for an exemption that allows some aviation companies to avoid paying property taxes. The redevelopment authority argued otherwise, yet has paid Kestrel’s property taxes under protest. The agency also threatened legal action against the town. Brunswick contended that the legislation was designed to tip the scales in favor of the redevelopment authority, should it sue the town. The town hired Preti Flaherty, a prominent law and lobbying firm, to help persuade lawmakers to defeat the bill. The administration’s reason for abandoning the bill isn’t entirely clear, but it may reflect reluctance among the redevelopment authority’s directors to engage in another public disagreement with the town. Calls to Gervais’s office were not returned Tuesday. In response to a press inquiry, his spokesman forwarded the commissioner’s email to redevelopment authority board members, sent Monday, saying the bill had been pulled. Andrew Cashman, a Preti Flaherty lobbyist representing the town, said Tuesday that the withdrawal of L.R. 492 followed a decision by the redevelopment authority’s directors on Jan. 23 not to take legal action against the town. Instead, the board voted to ask for a property tax abatement, which Cashman described as less adversarial than suing the town. Steve Levesque, the authority’s executive director, said in November that taxing Kestrel could make Brunswick Landing less attractive to prospective aeronautical tenants. The authority, effectively the landlord of the 3,300-acre property, paid the first half of Kestrel’s $116,700 annual tax bill last year. Levesque said in November that the agency would be reimbursed if Kestrel’s activities were ultimately found to be taxable. 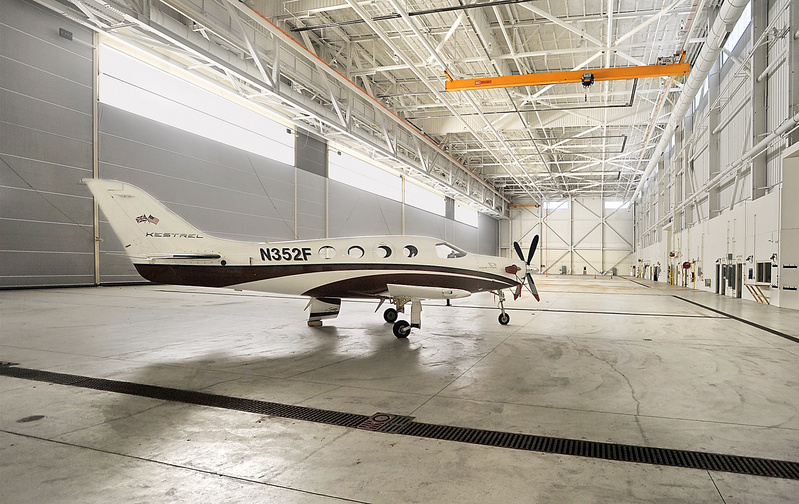 Kestrel, a startup aircraft manufacturer, employs 35 people. It is among the redevelopment authority’s 21 tenants. In January 2012, the company moved most of its manufacturing operations and the prospect of 300 jobs to Wisconsin after securing a financing deal that trumped Maine’s offer. Kate Dougherty, a spokeswoman for Kestrel, would not say Tuesday if the company will leave Brunswick if it is forced to pay taxes. “This issue is not about Kestrel, but about applying state taxation statutes uniformly,” Dougherty said in a prepared statement. According to town records, Brunswick is expected to collect more than $450,000 in property taxes from tenants of Brunswick Landing this year. Kestrel’s tax bill represents more than 25 percent of the anticipated collections. The naval air station once generated 4,800 jobs and $330 million a year in income in the region.